EXCEPTIONAL VALUE being offered in this wonderful Landmark constructed home! Just under 1900 sq/ft this home has it all - loaded with platinum upgrades and is suited for any growing family. 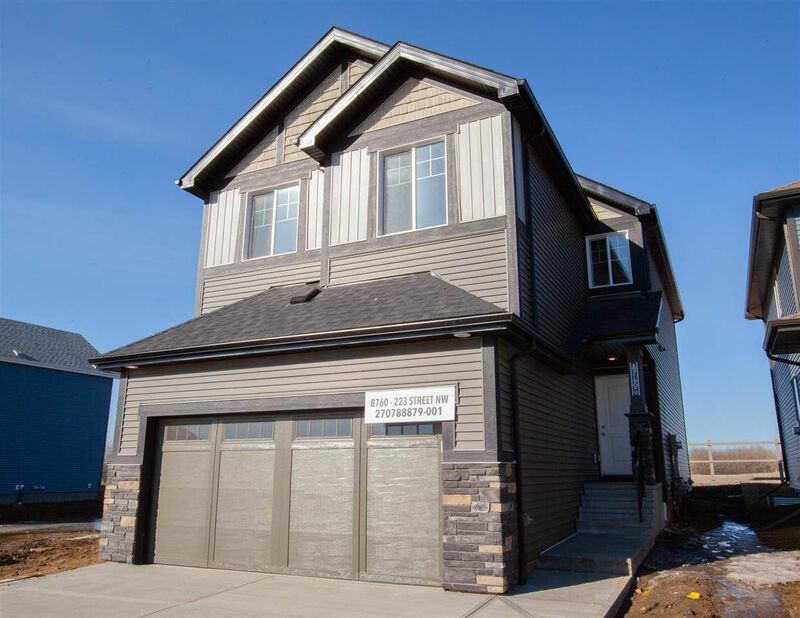 Laminate, tile, stain resistant carpets, quartz counter tops, soft close cabinetry, cabinetry to the ceiling, 9’ textured ceilings on the main floor and a walk through pantry are just some of the many features of this home. Walking through the front door you and your guests will be impressed with the open & elegant design. The kitchen is a focal point and has a 6’ quartz island and plenty of counter space! Upstairs you will find a cozy bonus room that is ideal for movie nights. The 5 piece master ensuite is an oasis and offers a retreat for mom and dad. Landmark builds exceptional, quality homes that focus on sustainability and efficiency. Take advantage of a tankless hot water system, HRV, triple pane windows. These features will keep your utilities low. Close to all amenities & roadways. Do not hesitate on this one!